This kind of a statement seldom finds any takers when it comes to this diverse land of Gods and Maharajas, Rivers and Mountains, Progress and deep Roots. India, as a country, is an immense landmass and very difficult to cover in one trip. That, however, doesn’t mean you cannot capture the essence of this culture in one sweep. If India is a mass of heaven, then the Golden Triangle is its elixir; a drip-drop of essence that shows you all the colours, cultures and histories that make the Indian subcontinent so rich. What is the Golden Triangle? It is simply a circuit of three prominent North Indian cities – Delhi, Agra and Jaipur, formed so that they each make a point of an equilateral triangle of sorts, when plotted on a map. This Golden Triangle Circuit has been the political stronghold in the subcontinent since time immemorial. While Jaipur and Delhi have seen many a Rajput kingdoms rise and fall, Agra has been the foothold of the Sultans and later the Mughals. Now you can only imagine what the area must represent and why you must circuit the Golden Triangle at least once in your lifetime! Delhi, the capital of India, should be your starting point for the tour. You will find some of the most iconic monuments and streets here, from Qutub Minar to Red Fort, the Indian Parliament to India Gate and Rajpath, Chandni Chowk (please do eat the street food here) to Sarojini Nagar (please do bargain your guts out while shopping here). Of course, you would know India because of the Taj Mahal. And why not? 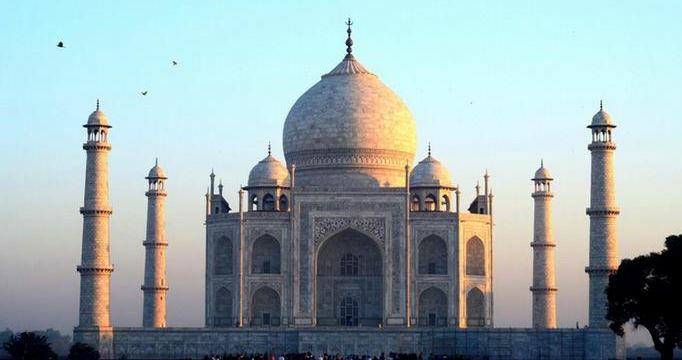 This milky white monument has been a tale of love and loss in the subcontinent for centuries now. From Delhi, you can take a road journey to Agra and tour the Taj for its brilliant architecture, inlaid carvings and the mausoleum of Mumtaz Mahal and Shah Jahan. There is also the nearby Fatehpur-Sikhri Fort, which was the stronghold of the great Mughal ruler Akbar. From Agra, move to Jaipur via an overnight road journey, rail journey or a short flight. 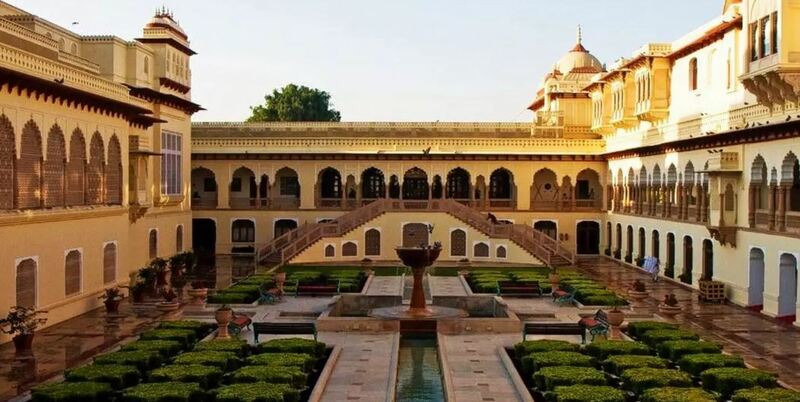 Now Jaipur belongs to the state of Rajasthan, and is only a starting point to explore the grand palaces, forts, deserts and monuments of the Rajput warriors. One of the best attractions here is the Hawa Mahal or the Palace of Winds, a tall grand palace built in cooling pink sandstone, with more than 900 beautifully carved windows. These windows would facilitate cross ventilation in the desert heat, as well as allow the royal women to peep into the outside world without being seen. The nearby town of Amer also boasts of the grand Amer Fort, the birthplace of Emperor Akbar’s Hindu wife Jodha Bai. The northern parts of India, especially the hinterland where the Golden Triangle is based, make for a very intense continental type of climate. So the summers are dry and unbearably hot, while the winters go cold. Indian monsoons are heavy and unrelenting, drenching the lands for almost 4 months with unforgiving intensity. 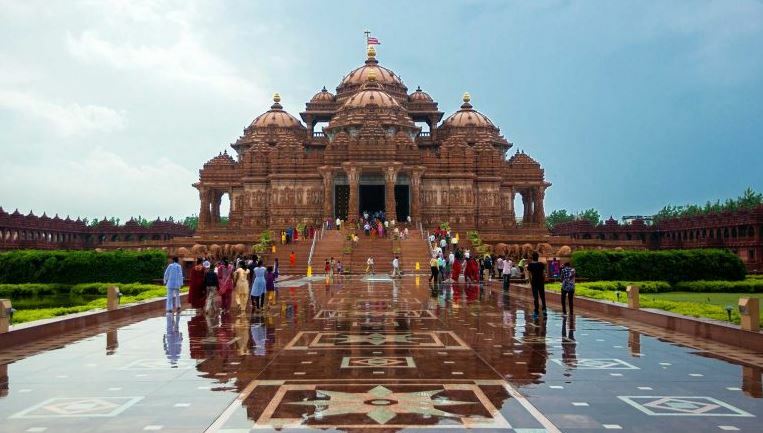 Hence you should plan a trip to India, and a circuit of the Golden Triangle only after consulting a guide for the best time to visit Golden Triangle (read here). Bhavini Desai is a writer, and travels to almost everywhere on this planet (and sometimes even to others in the galaxy) on her computer. Currently working with TripCrafters, she finds new joy in every new culture she discovers with every new place.